Korea's Information Society: Have computers met their match in Starcraft? 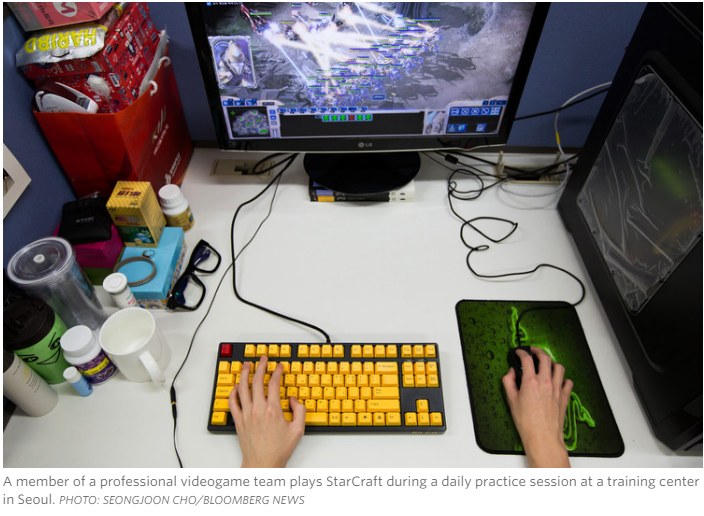 Have computers met their match in Starcraft? Jonathan Cheng, the Seoul based reporter for The Wall Street Journal, recently published a very interesting article that ties into interest in machine learning and artificial intelligence surrounding the highly publicized Go match between AlphaGo and Korea's top human player (see this earlier post). As Cheng notes at the start of the article, "Humanity has fallen to artificial intelligence in checkers, chess, and, last month, Go, the complex ancient Chinese board game. But some of the world’s biggest nerds are confident that machines will meet their Waterloo on the pixelated battlefields of the computer strategy game StarCraft. A key reason: Unlike machines, humans are good at lying." Later the article notes that "Demis Hassabis, creator of the artificial-intelligence program that defeated Go grandmaster Lee Se-dol in the recent closely watched match in Seoul, has long eyed StarCraft as a possible challenge for his AI company DeepMind, which Alphabet Inc.’s Google acquired two years ago." The article mentions that Starcraft was developed in 1998. It might have added that the game initially gained widespread popularity in South Korea, because its PC Rooms, in the late 1990s, afforded much faster broadband internet connections than most of the rest of the world had at that time. Furthermore, Starcraft's popularity was an important factor in the rapid spread of household broadband connections (DSL and cable modem) around that time as Hanaro launched an advertising campaign aimed at parents, urging them to install broadband at home, so their children could play Starcraft there, and not come home late at night after playing at a PC Bang. The sudden rise of fintech!